In August of 1996, a remarkable Document was discovered to have been registered with the Government of Alberta in 1995. This Document caused a considerable unrest, uproar, disturbance and turmoil among the workers and friends. The Document was a Certificate of Incorporation (No. 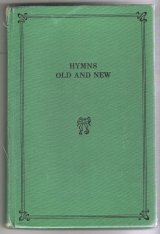 50654949) which was granted to the “Alberta Society of Christian Assemblies” on May 5, 1995. Willis Propp, the 2x2 Overseer of the Province of Alberta Canada, took full responsibility for the registration. This is a written Account of how this Document came to be discovered, along with the friends and workers reactions, comments, explanations, apology and dissolution. For the sake of brevity, this Certificate of Incorporation will be referred to as "The Document" in this Account. Willis Propp's version of how The Document was located was: " However, a problem has arisen. Canada recently passed a Freedom of Information bill. Through this our document is on the Internet and it has now got into the hands of the 'dissenters'." My mother was a member in the Two-By-Two church for some twenty-four years. During that time she generously supported the workers in her area. She professed in Saskatchewan through Willis Propp and Morris Grovum. She passed away in March 1996 and her Will revealed that she left a sum of money to: "the ministers of my church." 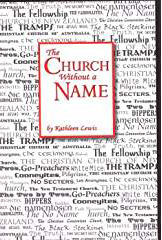 She did not name the church as she did not know it had a name. Nor did she name her ministers. In order to administer the Will, those named in the Will needed to be identified. Dale Shultz, Overseer of Saskatchewan and Willis Propp, Overseer of Alberta, were deemed the appropriate workers to receive my Mother's bequest. "The Charitable Organization number assigned to your Church by Revenue Canada. We will need this number in order to obtain a tax credit for the Charitable donation made by the estate." Mr. Shultz and Mr. Propp did not provide any details as to why they are declining the money left them under the terms of my Mother's Will. There are some additional noteworthy points that deserve further mention. Point 1: Pearl B. was diagnosed with Multiple Sclerosis in1962 and widowed in 1967. It was about 1970 when she met some of the friends and workers through her professing housekeeper/caregiver. She cautiously listened to their message and then professed in 1972. By the fall of 1973, she was no longer well enough to continue living in her own home, so at the age of 51, she was placed in a care facility. She lived there for the next 23 years until her passing in 1996. For the first 20 years in the care facility, even though she was permanently wheelchair bound, she was still able to get to most meetings and usually to convention with the helpful co-operation of the friends. It wasn’t until the last two or three years of her life that it became too difficult for her to attend meeting. At that point the workers arranged for a weekly meeting at the care facility. A few friends and often a worker would gather together with her for a meeting. This continued until shortly before she died. Over the years friends and workers often visited her at the care facility. A frequent visitor was Don Shenton, a former worker, as his professing mother was Pearl’s roommate. Point 2: Over the years Pearl was most generous to the workers. Her daughter was not privy to the amount of money she gave the workers between 1972 and 1981. From that time forward, however, Pearl’s daughter, under the direction of her mother, wrote all the checks to the workers and signed them as her Power of Attorney. (Pearl had lost the ability to use her hands. She could not write, hold an object or feed herself.) Between 1982 and 1991, Pearl gave five different workers a total of over $18,000.00, with Dale Shultz receiving checks totaling $8,705. Margaret Hanson and Mildred Ausenhas each received $4,500. Lloyd Kneesch and Morris Grovum received smaller amounts which brought the total monies given to the workers during those years to over $18,000.00. Point 3: In 1975 Pearl B. instructed her lawyer to draw up her Will and her only child, Sandi Gunther, was present when she signed her Will. Just before signing her Will the lawyer pressed her one last time to state in her Will THE NAME of her church and to provide the NAMES of the ministers for whom she wanted to provide. He did not want to use her wording "to the ministers of my church," but she wouldn't have it any other way. Her answer to him was, "My daughter will know." Even though her daughter had not professed by that point in time, Pearl was confident that Sandi would see to it that some ministers in her church would receive the money she wanted them to have. 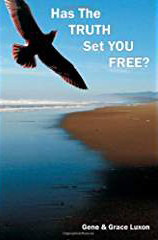 Some years later Sandi wrote: "And I did WANT them to accept the money as she had wanted. No one was more shocked than I was, that they declined ." Point 4: The lawyer's letters advising the two Canadian Overseers of the money willed to "the ministers of my church" did NOT state the amount Pearl was bequeathing them. It is fairly common practice among the workers to decline money left to them when there are any close non-professing relatives whom the workers think might be inclined to resent such a bequest. There have been numerous cases where inheritances have been refused in similar circumstances. In 1979 Sandi Gunther professed. After fourteen years, and three years prior to her mother’s death, Sandi stopped going to meeting. A few months later she declared her departure by sending out an Exit Letter to every 2x2 family in her city. The workers may have considered her to be a disgruntled EX with whom they preferred not to deal. The estate lawyer forwarded Mrs. Gunther the letters he received from Mr. Propp and Mr. Shultz wherein they stated they were declining any monies under the terms of Pearl’s Will. Mrs. Gunther supplied copies of these letters to some of her friends including two American women, Kathy Lewis and Cherie Kropp, as well as a Canadian man, John Mitchell. John Mitchell noticed that The Name typed in the signature block where Willis Propp signed his letter dated July 3, 1996 was: "ALBERTA SOCIETY OF CHRISTIAN ASSEMBLIES." Understandably, this designation was absent from Dale Shultz's letter, since at that time he was the Overseer of the Province of Saskatchewan (not Alberta). RE: The Alberta Certificate of Incorporation papers. I was the one who originally obtained the documents from Provincial Government of Alberta's Corporate Registry. Upon reading Willis's reply to a bequest in an estate, I saw The Name "Alberta Society of Christian Assemblies." I know that to be a registered "society" in the Province of Alberta, there must be copies of by-laws, etc. lodged with the Government and be recognized by the Crown. That means paperwork. It is very near the same form I must file every year for our own limited company. You may all order you own copies from the Alberta Corporate Registry by calling 1-403-427-2311, and asking an examiner for a copy of all documents relating to the non-profit religious society known as: "The Alberta Society of Christian Assemblies." It will cost about $15 Canadian funds, plus postage. They take credit cards. Also if you were in Edmonton, it is likely you could go examine the original documents at Alberta Corporate Registries, John E. Brownlee Building, 10365-97St. Edmonton, Alberta. My wife Shawna and I quit going to meetings at the end of February in 1995…In July of 1995, Eldon Kendrew and Kevin Cowan came to visit us, to talk about our withdrawal from meetings. In that visit Eldon confirmed that a trust fund does exist. You will note he is one of the signees to the application to incorporate. Today I mailed copies of this document to Cherie Kropp and some other folks still in the 2x2s…they were very interested in seeing these papers. Some workers are going to get grilled…for sure. The Document made its debut into the world through the pages of the Forward Press in 1996 and The News went out from there. This is the Account of how The Document was first discovered and distributed. "The Forward Press" was a quarterly newsletter published by Ex-2x2 Kathy Lewis, up through December, 1996. There were around 300 subscribers, most living in Canada or America, but some also in New Zealand, Malaysia, France, England and Australia. At this time, websites were just becoming popular and fairly easy to create, and message boards and blogs, etc. were in the not too distant future. At that time, the methods used by Ex-2x2s to keep up with news and each other was through the Forward Press, regular stamped mail and an email group called the 2x2-Church ListServe. When the Fall,1996 issue of the Forward Press was mailed out, it contained copies of Sandi Gunther's statement above, the two letters by Willis Propp and Dale Shultz, as well as a full copy of the Alberta Certificate of Incorporation. As mentioned above, it was NOT because of the Freedom of Information bill that The Document ended up on the internet, as Willis Propp claimed. The "dissenters" did not obtain a copy of The Document from the internet. The incorporation was discovered when an Ex-2x2 man by the name of John Mitchell, noticed a Name had been given to the church he had been told had no name, and he decided to investigate further. Just how long The Name and incorporation would have gone undetected is anyone's guess, had it not been for Willis Propp including The Name on his letter to the lawyer representing the Estate of Pearl B . Discovery of The Document had everything to do with Willis Propp and nothing do to with the Internet or the Freedom of Information Act. One doesn’t need to invoke the Freedom of Information Act to access public records and view incorporation documents. However, The Document was LATER placed on the internet by Research & Information Services (aka RIS) and it remains on their website to this day. The next year, the "Summer 1997" Letter to "Our dear friends" was distributed to approximately 3,000 friends and some pages of The Document of Incorporation were included in it. The Document was signed by the following five (5) Canadian brother workers: Jim Knipe, Dennis Einboden, F. Willis Propp, Richard Knight and Eldon W. Kendrew. Four of the brother workers signatures were witnessed by another worker, Rowland Jackson and a secretary (an outsider) named, Jennifer Oakes witnessed Willis Propp's signature. 6. Any member may withdraw from the Society by delivering to the Society a written resignation as a Member. 7. Should the Board determine a Member has behaved in a manner that has or is likely to endanger the interests or reputation of the Society, the Member may be expelled from membership by a vote of three-fourths of the Board at a meeting. 10. At every annual meeting [their annual conventions] in addition to any other business that may be transacted, there shall be presented a financial statement setting out the Society’s income, disbursements, assets and liabilities, audited and signed by the Society’s Auditor. 14. At all meetings of the Members, each Member shall be entitled to one vote and may vote in person or by proxy duly authorized…At all meetings of Members, every question shall be decided by a majority of votes of the Members present in person or represented by proxy. 17. There shall be an Overseer, a Chairman of the Board, a Secretary, an Auditor, and a Keeper of The Minutes. BY WORKERS: The reactions of the Friends and Workers varied considerably. Of course, many were initially shocked or incredulous. Others doubted the authenticity of The Document. Others felt that IF it was authentic, Alberta was no longer “one of us,” or “had fallen in the ditch.” A sister worker lost some sleep over it because she “could not believe that someone she knew had a godly spirit at one time could have strayed like this.” An Alberta sister worker pronounced it fraudulent. However, she verified that the signatures appeared genuine and commented that there are ways to forge signatures. She also stated The Document was garbage and anyone feeding on garbage will get indigestion. Another sister worker felt certain that Willis Propp signed the incorporation papers without really reading the fine print, and the reason the by-laws have not been followed was because he really did not know what they were. Two Workers, including an American state overseer withheld judgment on The Document, and the overseer promised to investigate it. He appeared genuinely surprised that such a thing existed, and replied that he knew of no other field that had incorporated. He did acknowledge current use of the Christian Convention letterhead for purposes where a "more official" appearance seemed appropriate. Two Alberta Brother Workers, Dan Hofer and Johsua Tschetter, were not aware of the Alberta incorporation when they testified in the Dorey-Steingard hearing. Very embarrassed to be confronted with the incorporation in this manner, they were deeply offended that Willis had hidden it from the Workers. Both men were involuntarily transferred to other provinces when they were unwilling to continue serving in the Work under Willis Propp. Hofer later left the Work. BY FRIENDS: Some Friends felt that IF it is authentic, then Alberta had surely gone off the deep end. One Friend vowed to verify the authenticity, and IF it was proven fraudulent, he intended to drive to Alberta, hire a lawyer, and camp out until the perpetrators were tried, convicted and punished. Still others did not doubt the authenticity of The Document, but wondered if all the signees realized what they had actually signed. Two Friends believed The Document was authentic and felt the incorporation was no big deal; however, they said that the workers will have a hard time explaining why it is OK to incorporate now in this day and age--when it has been verboten for 100 years. Some others took the position: Incorporate as needed, where needed, and apologize for teaching that it is wrong for a church to incorporate and just take a Name and admit 100 years of erroneous teaching. On top of taking The Name,some of the friends were angry because Willis used Rowland Jackson to sign as a witness on the incorporation document. Rowland Jackson was a very old brother worker who experienced short term memory difficulties, and possibly had mild dementia. Some of the 2x2 elders in Alberta felt that Willis used Rowland's disability to his advantage in his registration of the non-profit religious society, and were deeply offended. Some of them sent copies of the incorporation to all the meeting homes. BELIEVERS/DISCIPLES-The Believers/Disciples shall be in hearty fellowship with the Preachers/Apostles. They shall live quiet and peaceable lives in the land, subject as loyal citizens to the laws of their country and earning an honourable livelihood with their prime interest being matters that pertain to the Kingdom of God as set forth in the New Testament. The Believers/Disciples shall live in their own quarters, take up their own employment and shall not be bound to any of the Society's obligations. Fellowship services shall be in those homes of the Believers/Disciples designated by the Preachers/Apostles." The original Bylaw stated: "4 (b) Believers/Disciples - The Believers/Disciples shall give their entire time to freely, and for everyone, teach the Gospel of the Lord Jesus Christ. The Believers/Disciples shall live in their own quarters, take up their own employment and shall not be bound to any of the Society's financial obligations. Fellowship services shall be in the homes of the Believers/Disciples." As required by law, the Society Annual Return for the year ending May 31, 1996 was signed by Willis Propp and filed in a timely manner. The registered office address given for the Society was the address used by Willis Propp. The Annual Return required that an attachment accompany the return of "A listing of all officers and directors with the name, complete mailing address and position held by each." The original Certificate of Incorporation Item "17. Officers" listed 5 offices for the Society: Overseer, Chairman of the Board, a Secretary, an Auditor, a Keeper of The Minutes/Minutes-Checker. Five brother workers signed the original application; however, the particular office to which they were appointed was not stated. WHY DID WILLIS PROPP DECIDE TO INCORPORATE? The BIG question in the minds of those who had seen The Document was: Why on earth did Willis Propp incorporate the 2x2 church in Alberta? What was his reason for doing so? Can there be a reason good enough to officially take a Name and organize a church--when that goes against the very foundation tenets of the church of which he is a minister? One of the signees on The Document was Alberta worker Jim Knipe. He was asked this question, and replied that some Alberta-based sisters in Hungary were required by the Hungarian government to produce documents or leave the country. And that the Alberta workers are not the first to do such—it was being done elsewhere also. The workers needed a document that would guarantee their financial support, and the incorporation solved that problem. One of the workers in Hungary, whose visa was soon to expire, was faced with the problem of being refused permission to remain in the country because the 'Group' she was representing was not a registered body in Hungary. Our sister who labours there was companion to the girl in question and she appealed urgently to us that we do something it about (sic) because any approach they made to the local authorities was to no avail and they needed help badly. Above that there was a deadline to meet. Hungary would accept our Registration as backing. We in Canada had been registered in Ottawa (Canada's capital city) during WW2. A search was made there to retrieve such a document, but all in vain. While registration is not required in Great Britain, USA or Canada, to help our workers in Hungary we sought a Lawyer's aid and as a result a very complicated document was made up. We learned to our dismay that to be registered we had to become incorporated as a non-profit Society. While it was solely for the purpose of those in Authority, the document gave us a long handled name. We were hesitant to do it, but for the sake of our workers in Hungary, we signed the document. Hungary accepted our efforts for which we are thankful, and officials there will now continue to recognize the workers in their country. However, a problem has arisen. Canada recently passed a Freedom of Information bill. Through this our document is on the Internet and it has now got into the hands of the 'dissenters'. They are spreading it with delight and we write this to suggest that if it reaches any of our friends, please have them just burn it. I am sure all our friends will understand the reason why we implemented it. In many countries registration is necessary. We are in the process now of having the whole document cancelled, since it is not required in Canada, and we hope the matter will settle down in time. Thank you for giving this information to any of our friends; or workers who may enquire. I am so sorry that such a problem should have arisen because of my naivety. It is not known who the recipients of this letter were. However, it is improbable that "All of Concern" received a copy. Mr. Propp indicated that their mission was accomplished and that the sister worker/s were allowed to stay in Hungary. However, this has not been verified. The name of the sister worker is not known who Mr. Propp identified as the "girl" that "our sister who labours there was companion to." Many have identified Esther Laslo as being the Alberta-based sister worker who requested Mr. Propp's assistance. Those with whom Esther worked in Hungary were Ann Court from U.K., Heidrun Feichtinger from Germany and Jessedith Allers from South Africa. Esther is shown with Ann on the 1994-95 Workers list and with Heidrun on the 1995-96 list. The "girl" could have been any of the three. Esther Laslo passed away in 2005. Mr. Propp wrote: " We in Canada had been registered in Ottawa (Canada's capital city) during WW2. A search was made there to retrieve such a document, but all in vain." So this was not the first time the Alberta workers had "registered" a Name. They had also "registered" in Canada for some reason during World War II, as George Walker did in the United States. Some possible reasons may have been to obtain a Conscientious Objector status for professing servicemen, or a military exemption for brother workers, and/or to be able to continue to have church meetings in homes. John Mitchell also attempted to locate the earlier WWII registration without success. It appears to have been destroyed or lost, as is the situation in America. 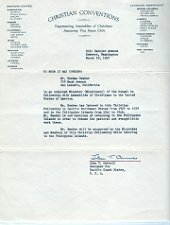 Mr. Propp wrote: "While it was solely for the purpose of those in Authority, the document gave us a long handled name." It wasn’t "The Document" that "gave us a long handled name." The workers had to come up with The Name to place on The Document. "The Document" cannot be blamed for containing The Name men selected and used. Mr. Propp wrote: "Canada recently passed a Freedom of Information bill. Through this our document is on the Internet and it has now got into the hands of the 'dissenters'." This was not the case. The Federal Freedom of Information Act was passed in the 1980s, which was not "recently". Sometime in the early to mid 1990s, the Provincial Government of Alberta Freedom of Information and Privacy Act (FOIP) was passed. Mr. Propp was probably intended to refer to this act; however, the Act is irrelevant, because the FOIP act had nothing to do with the acquisition of The Document. Mr. Propp wrote: "They [the "dissenters"] are spreading it with delight and we write this to suggest that if it reaches any of our friends, please have them just burn it." "Delight?" Another viewpoint of the situation is that The Document was made available to the friends, who had every right to be informed about it and what it represented. Why should they burn copies? Are the workers ashamed of it? Why did the workers incorporate "behind the Friends' backs?" Why not publicize what was done to the Friends and Workers and make it common knowledge? If it was the right thing to do – then tell why. If it was a mistake – then admit it. Other churches incorporate and take names for the very same reasons Mr. Propp did - to work with requirements of various governments. Mr. Propp wrote: " We are in the process now of having the whole document cancelled, since it is not required in Canada…" Did the workers dissolve the incorporation to appease the Friends? Or to appease the "dissenters," also known as Ex-2x2s? Would Mr. Propp have dissolved the Incorporation had it not been brought to light? Mr. Propp wrote: "…and we hope the matter will settle down in time." The numerous cruel excommunications in Alberta in 1999 are proof Mr. Propp's "hope" did not materialize, and that this matter continued to fester for several years. Mr. Propp stated: "I am so sorry that such a problem should have arisen because of my naivety." Naïve? Mr. Propp consulted with legal counsel and took the action which would produce the result he wanted. That's not usually considered "naïve." Understandably, he regrets that his actions were discovered, and he attempted to save face by blaming the "dissenters" that "such a problem arose," even though he himself was the cause of it. Mr. Propp stated: "I am sure all our friends will understand the reason why we implemented it. In many countries registration is necessary." Using "Positive Assurance" language ("I am sure…"), he attempted to get his readers to agree with his highly debatable action. Positive Assurances often mask a weak explanation. When two of the church's fundamental principles are compromised by complying with registration requirements by "many countries" — perhaps the workers should back off and let the Lord provide a way. Or they could OPENLY take an official name and become a recognized organization, and not claim or preach otherwise. Mr. Propp's comment that The Document was found was due to the INTERNET and the Freedom of Information bill was purely speculation which he presented as fact, and is not true. Rather, a copy of The Document was procured by mail from the Alberta Corporate Registry for a small fee upon investigating The Name contained in Willis Propp's letter to the estate lawyer. Whether or not the church was incorporated was not the issue with some. 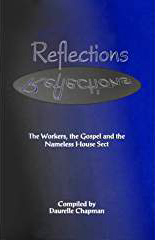 However, if the workers NOW believe it is expedient at times to incorporate, then it seems only right that the workers should openly admit that they have been in error for the past 100 years when they condemned other churches that had incorporated. What IS an issue is the continued preaching that they don’t have a Name and are not an organization, and that those facts are evidence that they are the only right church. What is so wrong with incorporating? What was the original reason the workers were against taking a Name and organizing? Was it a way to separate themselves from most other churches? Was it because the fact of having “no Name” and “no organization” preached far and wide with the implication, that those differences are part of what makes them right and everyone else wrong? Is there a solid biblical reason not to do so? Does the end justify the means? Since when do the church's basic tenets not take priority? What did all that preaching mean about taking no name and not being an organization? It would appear that DECEIT for the sake of furthering their gospel is justified. By making false statements, it was possible for a sister worker to remain in Hungary. Signing a document whose by-laws they never intended to follow was OK because it was done for the Kingdom's sake. And a pox on those who discovered and revealed their secret means of doing so! Perhaps this worker didn’t need to be in Hungary? Maybe that was God’s way of getting her out of there? Maybe the workers action usurped God's plan. Why didn’t the workers rely on God to provide in a way that didn’t require taking a Name or organizing? The workers need to be upright and honest. Stop publicly claiming their church is different and doesn't take a Name and isn't an organization--while at the same time, they are quietly complying with various government demands to do otherwise. The concept of the Document of Registration that was drawn up and filed in Alberta, Canada, on the 5th day of May, 1995, was totally contrary to the basic tenets of our fellowship, and so was totally wrong. I, Willis Propp, acted unilaterally without due consultation with my seniors in the ministry, which made my action totally wrong. Hence to have placed my signature of acceptance upon such a document was also totally out of order and wrong. 1. I assume full responsibility for involving in this process my fellow workers in Alberta, namely, Jim Knipe, Dennis Einboden, Richard Knight, Eldon Kendrew and Rowland Jackson whose signatures also appeared on the said Document. 2. I sorely grieve over and regret the distress and unrest that has been brought to bear upon so many of our beloved brethren. 3. I have instructed a lawyer on November 8, 1996, to have the said Document completely revoked. Attached is a copy of this dissolution. 4. From a saddened and deeply penitent heart, I humbly offer a full apology to all concerned for all these actions on my part that are so out of line and wrong. I HEREBY CERTIFY THAT F. WILLIS PROPP APPEARED BEFORE ME AND EXECUTED THIS LETTER IN MY PRESENCE THIS 18th DAY OF NOVEMBER 1996, IN THE CITY OF EDMONTON, ALBERTA. A NOTARY PUBLIC IN AND FOR THE PROVINCE OF ALBERTA, CANADA. In fairness to Mr. Propp, he took full responsibility for his actions and admitted what he did was not in line with the group's "basic tenets," and was therefore wrong and out of line. However, it would seem that precious few ever saw this letter. Reportedly, neither the workers nor Willis Propp made a very wide distribution of Mr. Propp's apology/explanation letter. A Midwestern State Overseer stated that the apology letter by Willis Propp (printed above) was received by a few Overseers in America, and that was the extent of its distribution. However, the two letters written by Mr. Propp fell into the hands of the "dissenters" who have widely published them on various internet websites. THE CERTIFICATE OF DISSOLUTION for the Alberta Society of Christian Assemblies was voluntarily dissolved on December 11, 1996. It was signed by Jim Knipe, as Director (Secretary-Treasurer) on November 18, 1996. Where does this leave the sister worker? What will happen next time Hungary requests legal documentation of her financial support? Will this entire process have to be repeated by the workers? Would Mr. Propp have considered dissolving the corporation if its existence had not been brought out in the open? Jim Knipe, in his capacity as Director (Secretary-Treasurer), signed the Application for Dissolution of the Certificate. The signature of Mr. Propp is not affixed to it. Someone (name withheld by request) inquired of the Hungarian Government whether there were missionaries in Hungary representing the Alberta Society of Christian Assemblies. With reference to your message 13rd February, 1997, I wish to inform you that our country have not missionaries representing a group known as "Alberta Society of Christian Assemblies." TTT NOTE: Mr. Ivan Platthy was the State Secretary for Religious Affairs in Hungary. PROPP's PURGING : Looking ahead to 1999 and the following years, workers excommunicated numerous friends, and removed meetings from elders' homes. Between 1999 and the present time (2011), it has been reported that there were a total of 26 Alberta meetings where the elders were either excommunicated or opted to give up their meetings. These excommunications in Alberta were carried out with the approval and at the direction of the Alberta overseer, Willis Propp, through several workers who labored under him. One of the chief hatchet men was Jim Knipe. After Willis Propp stepped down from being the Alberta Overseer, Mark Huddle took his place. Not so long after this, Mr. Huddle left to take the late Sydney Holt's place as Overseer of Washington. Merlin Affleck then became Overseer of Alberta, and he is the current Overseer in 2011. Willis Propp died November 28, 2015. Dale Shultz went to be Overseer of California, Arizona, Nevada, Hawaii and Pacific Islands in 2003. Jim Atcheson became Overseer of Saskatchewan in 2004. Jim Knipe has been laboring in Argentina since 2000. Eldon Kendrew left the work and married. Dennis Einboden passed away in 2007. Roland Jackson died in 2000. Esther Laslo died in 2005. Don Shenton left the work in 2005; married widow Ruth Szakacs, an ex worker. and coordinated with John Mitchell, Kathy Lewis, Kevin and Joan Daniel.